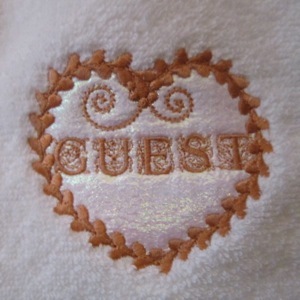 This lovely NLE original design is actually an applique. The center of the design is covered with a layer of organza creating an opulent effect while still allowing the loft of the towel to create a trapunto like effect. 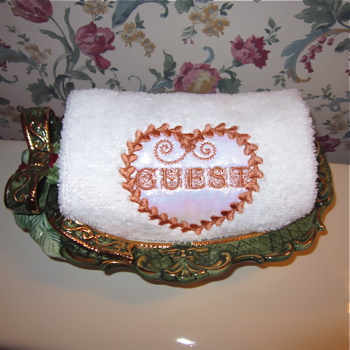 Treat your guests as the treasures they are with Royal Guest Applique ! Look for more color examples coming soon.